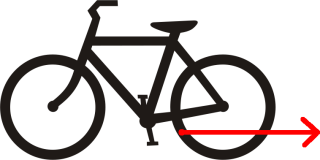 Figure 1: A string attached to the bicycle's rear wheel is pulled in the indicated direction. Image modified from Wikipedia. Imagine a bicycle with a string attached near the bottom of the rear wheel (see figure). You give a slow tug on the string straight backwards.